After more than two years, he is finally there. 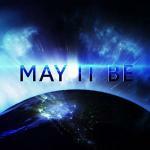 May it be. With this vocal work by julia westlin, the song has become great. we would like to thank julia for this opportunity to work with her. Be sure to follow her on her social channels!